Numerous systemic diseases may affect the oral cavity and vice versa, in particular severe diseases that involve the heart valve. In these cases, additional measures or a modification to our dental treatment need to be taken. 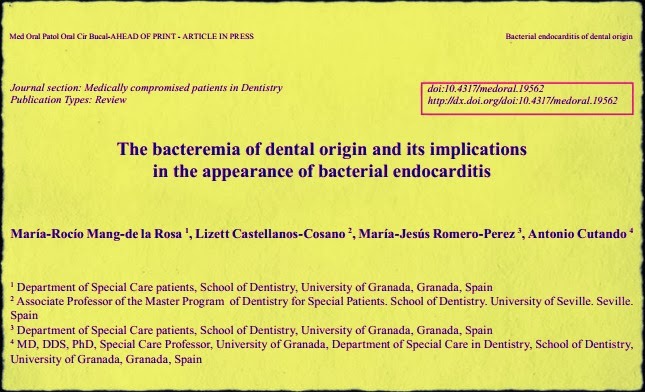 We are aware of various diseases that can cause the emergence of bacterial endocarditis (BE), such as; rheumatic fever, valve lesions due to intravenous drug use, Kawasaki disease and valve surgery, among others. 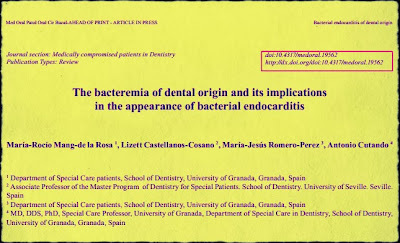 Due to its severity when it is not taken into account in dental treatment, we intend to show the evolution of the antimicrobial prophylaxis towards this condition. Furthermore, we intend to publish the current guidelines of institutions and societies which increasingly encourage rational antimicrobial use.